Olivia Mehaffey's magical run of form continued at Southerndown when she eagled the 18th to take a three-shot lead into the final round of the Welsh Ladies Open Strokeplay and set up the possibility of a third championship victory in as many weeks. The 17-year old Royal County Down international parred her first 10 holes before bogeys at the 11th, 13th and 15th left her three over for the day. But she finished on a high with a three at the 18th for a second successive 73 and a three shot advantage on two over par from Rotherham's Olivia Winning. 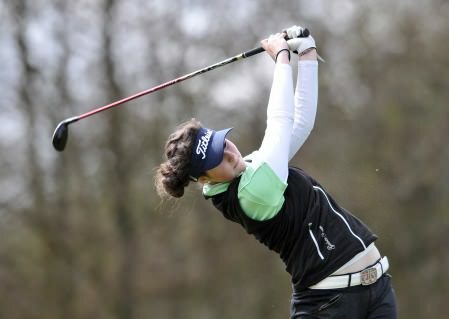 Mehaffey is going for a hat-trick of spring victories having claimed her third Irish Girls Open Strokeplay on the trot at Roganstown a fortnight ago before winning the Helen Holm Scottish Ladies Open Strokeplay at Royal Troon last weekend. Castletroy's Chloe Ryan shot a second successive 77 to share fifth on 10 over with Skerries' Maria Dunne tied ninth on 12 over following a second round 78. Ballybunion's Emma O'Driscoll added a four under 71 to her opening 75 to go into the final round of the Welsh Ladies Open Stroke Play Championship just four strokes off the lead at Prestatyn Golf Club.